On Tuesday, April 2nd, 2019, The Panorama City Chamber of Commerce celebrated their 3rd Anniversary and the 1st Year of “The Panorama City Chamber of Commerce Business Day” at the Platinum Banquet Hall, located at 8704 Van Nuys Blvd., Panorama City CA. 91402. This momentous date was declared by the California State Senate by a resolution granted by the Honorable CA. State Senator Bob Hertzberg on March 15th, 2018. The resolution was presented at the Grand Opening of the Panorama City Chamber of Commerce Business Center on April 2nd, 2018. In addition to a star studded red carpet and press interviews, this year’s celebration featured the North Valley Military Institute’s Color Guard, the National Anthem by Grammy Award Nominee Songwriting Shane, live performances, the awards ceremony and a dinner. They also honored the Officers, board members, and volunteers who made the Panorama City Chamber of Commerce such a rousing success during the past year. As a special recognition, they honored local celebrities that have truly made a difference in the San Fernando Valley and in Panorama City. The Offices of U.S. Congressman Tony Cardenas, CA. State Senator Bob Hertzberg, CA. 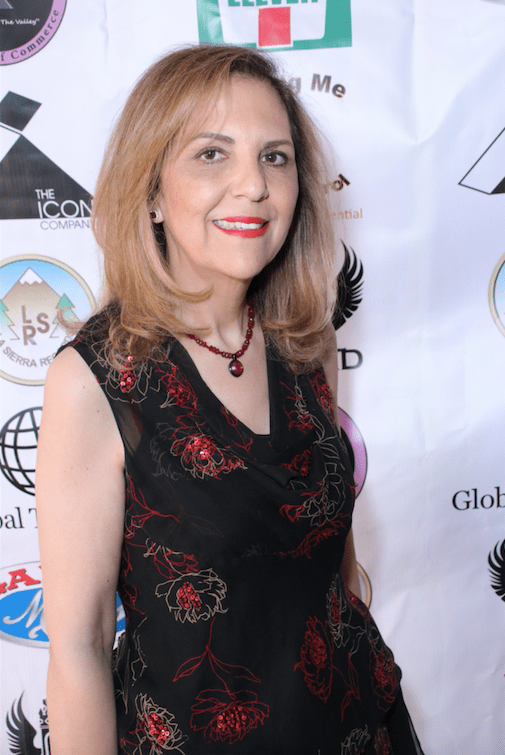 State Assemblymember Adrin Nazarian, Los Angeles County Supervisor Sheila Kuehl, Los Angeles City Mayor Eric Garcetti, and Los Angeles City Councilmember Nury Martinez attended. Additional celebrities and VIPs in attendance were Saul Mejia (President of the Panorama City Chamber of Commerce and GlobalTech, Motivational Speaker & Book Author), Songwriting Shane (Grammy Nominee), Matias Meza (Grammy Winning Producer) Juan Ignacio (Pop Singer), Klaudia Lua (TV Host), Philanthropist Laura T. Sharpe (Founder and CEO, Artists For Trauma), TV Personality Suzi Khatami (“Our View” show on ATV), Filmmaker Dustin Ferguson (Nemesis 5: The New Model currently available on Redbox), Legendary Action Star Mel Novak (Quentin Tarantino favorite Game of Death), SAG/AFTRA Actress (Who’s Jenna? 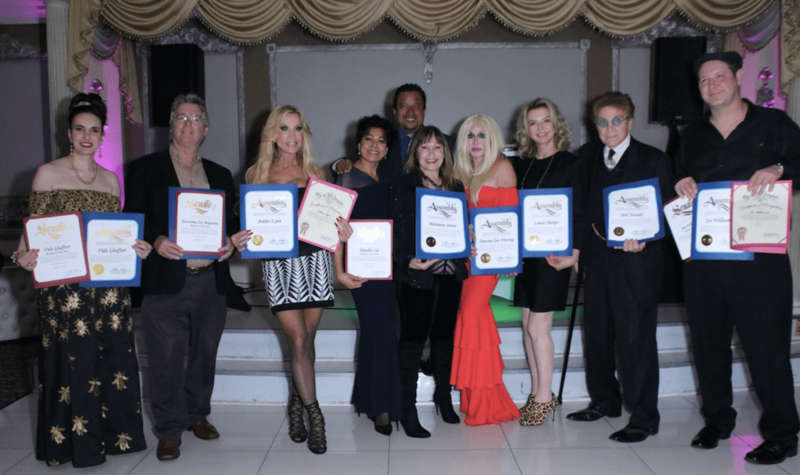 ), Radio Personality, Rock’N’SeXXXyU show, LA Talk Radio, Red Carpet Correspondent, Walk Against MS, Amber Lynn, Actress Dawna Lee Heising (Robowoman) and Actress Vida Ghaffari (The Mindy Project), Vida Craddock (Designs by Vida Celebrity Designer), among others were in attendance. “As a lifelong resident of Panorama City, it is with great pride that I am president of our Chamber of Commerce and I get to interact and help businesses prosper in our fair city and acknowledge the many people out here for all they do for this great town, said Chamber President Mejia. The Panorama City Chamber of Commerce, which was incorporated in 2016, is composed of business professionals who are civic-minded citizens. Because of the Chamber’s volunteer work and financial support, Chamber membership gives members a blanket policy of community insurance. The Chamber’s mission is a collective effort to promote the welfare of our community and make it the best community in Los Angeles to shop, live,and to make a living in. The Chamber’s main aim is to maintain a proper balance of growth, shopping convenience, work, and recreation within our community. In addition, the Chamber strives to make Panorama City the most attractive community in the area through cleanups and beautification efforts. The Chamber is proud of our civic and service groups and is confident that through our combined efforts, we shall achieve our aims and remain “The Heart Of The Valley”. Saul Mejia is a seasoned TV and Radio Host, an Executive, Business Leader, International Entrepreneur, and Elected Official in Panorama City with over 20 years of experience in Leadership, Business administration, and Public Speaking. He has vast experience in the entertainment industry, politics, and the business world. He has worked for several companies and is currently a TV and Radio Host for the Spanish TV Show “Sentido Comun” con Klaudia Lua, Additionally, he is the President of the Panorama City Chamber of Commerce, the President for Global Tech, a Board Member of the United Chambers of Commerce of the San Fernando Valley, Member of the Valley Industry & Commerce Association (VICA), Member of BizFed (Los Angeles County Business Federation), Member of the Hispanic Chamber of E-Commerce and a former Elected Business Representative of the Panorama City Neighborhood Council (City of L.A.) where he also served as the Commerce Committee Chair. He has received several awards including 2 Special Congressional Recognitions and the Prestigious AMVETS Medal (American Veterans of Foreign Wars). Platinum Banquet Hall has years of experience planning and staging world-class events, from weddings and large corporate parties to quinceañeras. Our dedication to making every event a moment to remember is what makes them one of the top event venues in Los Angeles. Platinum Banquet Hall employs only the absolute finest events staff. Their event planners are professionals in the industry of planning weddings, quinceañeras, engagement parties, large corporate events, and any other event you may want to host. Each and every one of their staff brings a passion and dedication to the job that shines in everything they do. Their mission is to keep our clients happy from beginning to end. Previous PostHollywood’s Top Bad Guy Jasper Cole Guest Stars in ABC’s The Rookie tonight!